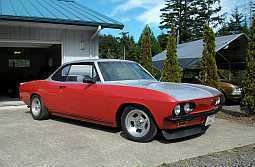 Re: This Corvair really flies! The detail put into the Vaircraft engines is astonishing. They may be a work of art but the truth is a Corvair crankshaft was in no way designed to swing a 6 foot prop. The crankshaft failure rate on Corvair powered aircraft is many times higher than a certificated aircraft engine. They have developed a 5th bearing set up for the Corvair engine which helps considerably but by then it's getting pretty expensive. I personally don't see a Corvair engine as a logical choice for an airplane that I fly my family in. Obviously, many disagree with my opinion. > disagree with my opinion. I thought I saw reproduction billet crankshafts available out there for the Vaircraft engines? Maybe I am not remembering correctly. Edited 1 time(s). Last edit at 04/18/2018 07:21PM by Nickshu. Yeah they do but that's another big expense. To me, and many will differ, it's not worth the effort and it will never be as safe as a certificated aircraft engine. Aircraft engines are built like tanks! There are know many small aircraft engines available for a lot less than the old Continental and Lycoming engines used in small aircraft decades ago. Rotax is one company making aircraft engines for small aircraft that offer an relatively affordable, and reliable, alternative. I appreciate the Corvair aircraft engine effort, but it's days for small homebuilt aircraft are numbered. In the 60's with 145 ci engines there were no problems.. 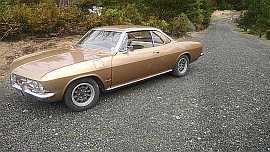 In the 1960s Bernard Pietenpol began to favor converted engines from Chevrolet Corvair automobiles. The Corvair engine was smoother, stronger and significantly lighter in weight compared to the Model A, as the Corvair automobiles used air-cooled, flat-six configuration engines, similar in design to those already available (in generally larger displacements) for general aviation use.